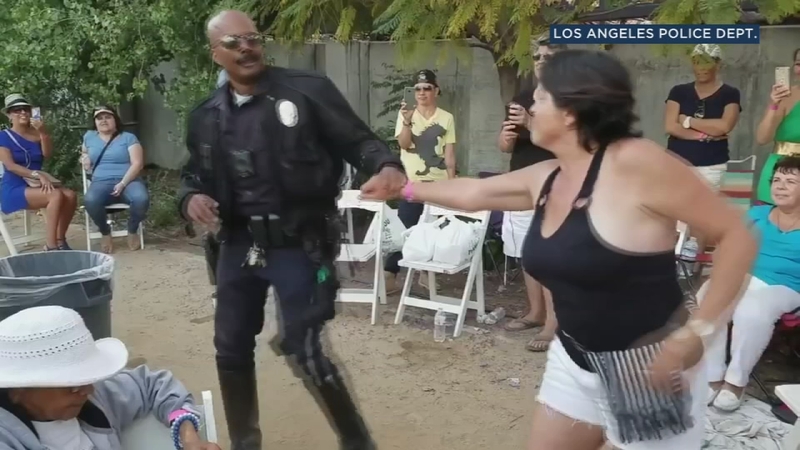 LOS ANGELES -- One Los Angeles Police Department motor officer really knows how to move on the dance floor. Officer Booker of the LAPD's Central Traffic Division hopped off his bike and showed off some serious salsa skills at the Cuban American Music Festival in downtown LA over the weekend. In a video tweeted by the LAPD's headquarters, Booker expertly spun and swayed to the music, twirling his female partner to the rhythm. Apparently Booker's impressive dance skills even surprised his employer. "Who knew LAPD Motor Officers could move like this when they get off their bikes," tweeted LAPD HQ.